This time of year is busy for me with Family Portraits. You have probably noticed that I am not advertising myself as a Wedding Photographer anymore. When you start out as a Photographer, knowing that all you want to do is photograph people, you try everything...well at least I did. And through lots of practice, opportunities and prayer I am excited to be a Portrait and Birth Photographer. I feel blessed to strictly photograph Portrait and Birth Photography. I am still in the Wedding scene a bit as I work with other companies but it feels good to know where I am called. 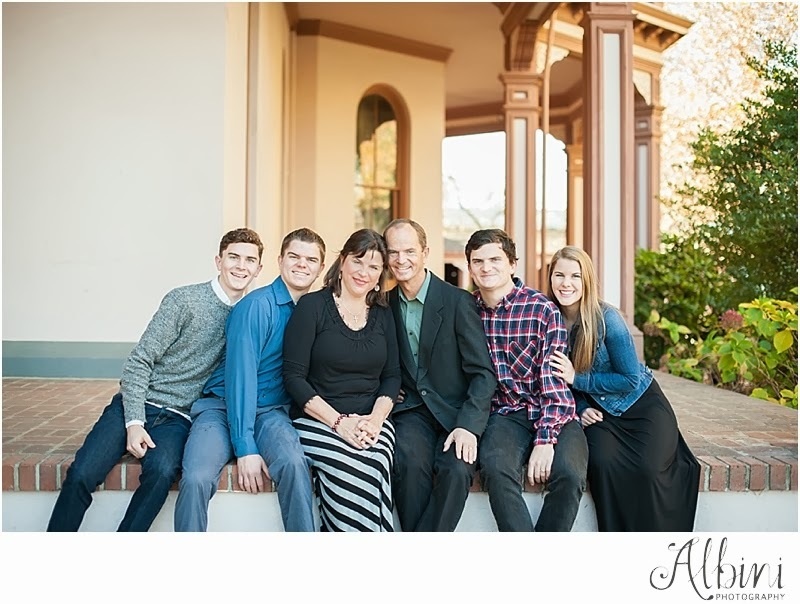 I had to share this photo from a recent Family Session as it shows why I love this job. The Reid family has surely blessed many, many people. Chris and Teresa welcome Travis and I into their home like we are family. Their oldest son and his wife(not pictured in this photo) are some of our best friends. Their daughter in law(not pictured in this photo) lived with us for a few months last Fall. I adore every single one of these people. Truly, I do. Not only are they a beautiful family, inside and out, but they are hilarious and so fun to be around. So, thank you for allowing me to Photograph your sweet family. I had fun and it is families like you who bless me and remind me why I do what I do. Thank you.